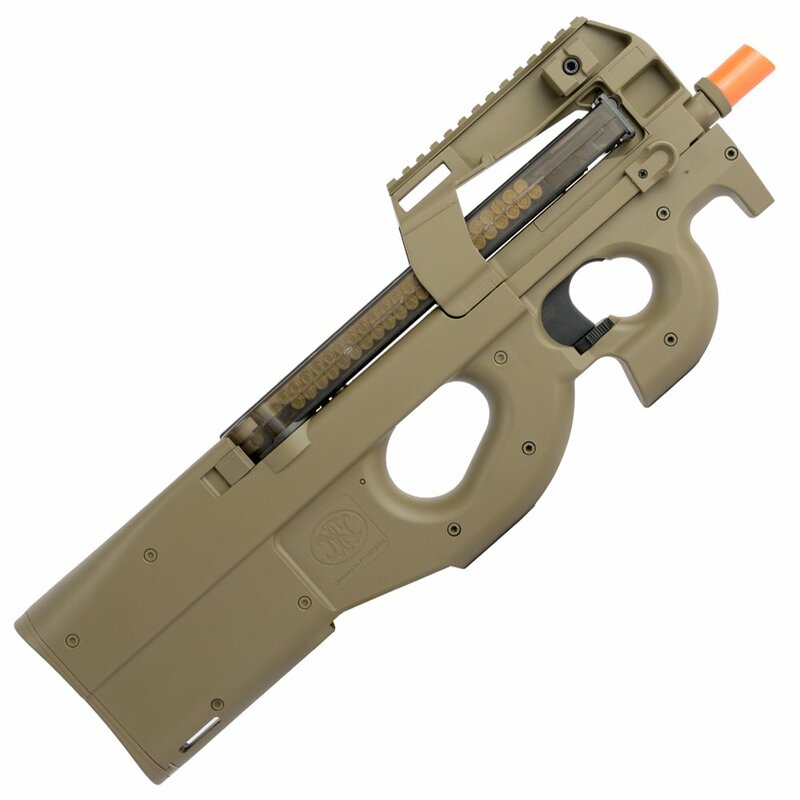 Also known as the FN Project 1990, the FN P90 is compact but powerful bullpup style SMG. 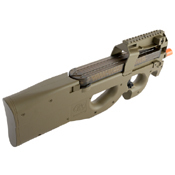 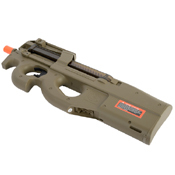 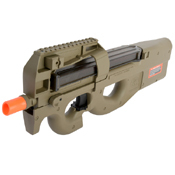 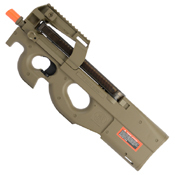 This cybergun licesned AEG airsoft replica bears all the same features and marking as the real steel version. The extended inner barrel and full-metal gear box are encases in a durable polymer frame that's lightweight and agile. 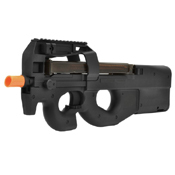 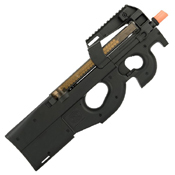 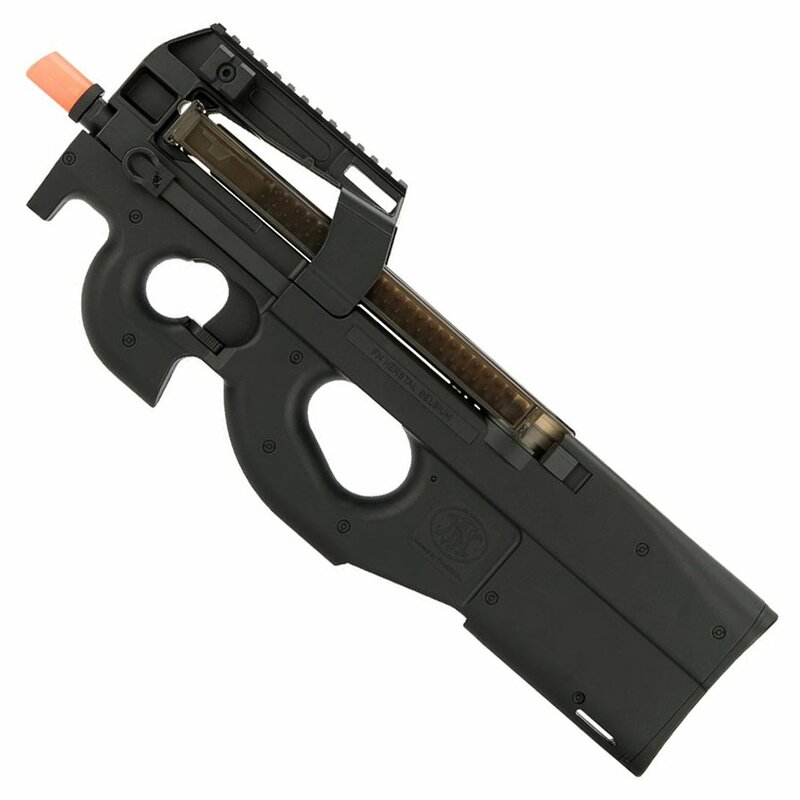 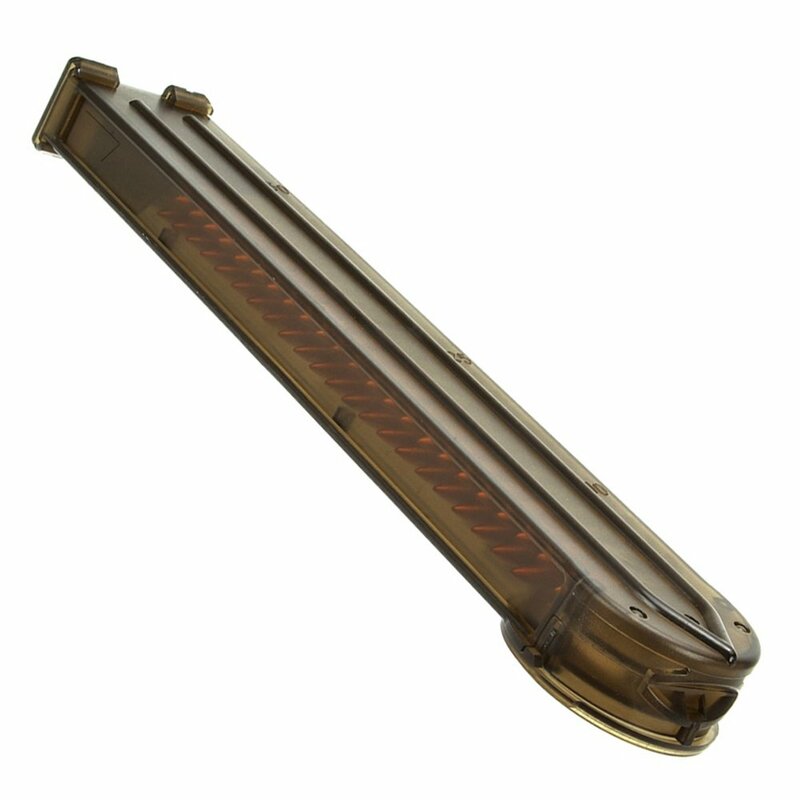 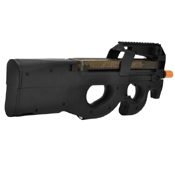 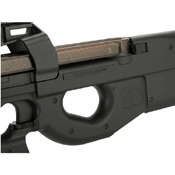 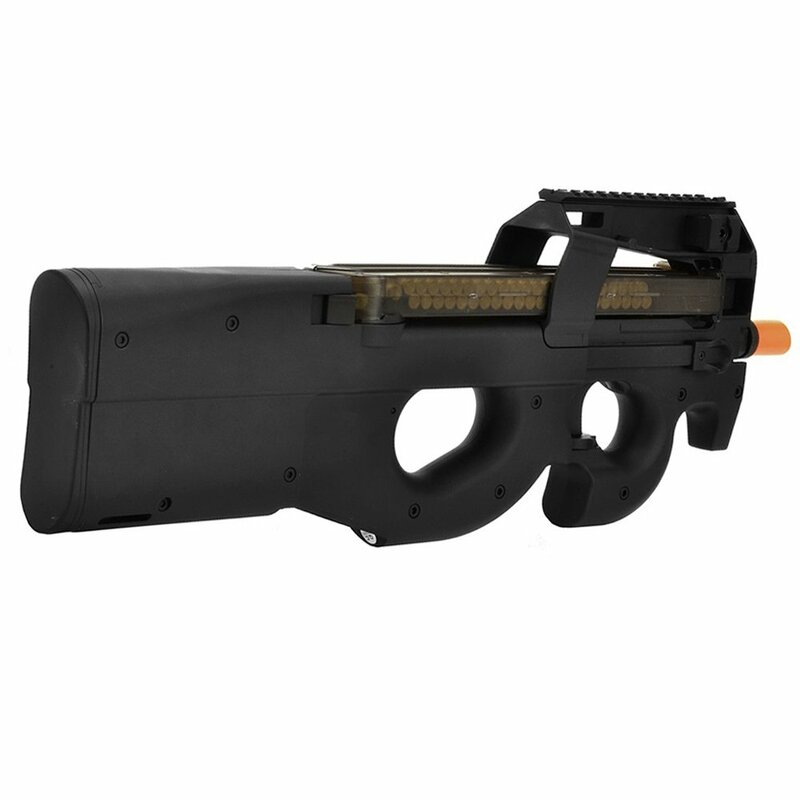 It comes equipped with a P90 semi-translucent magazine with visible dummy rounds and a 9.6V NiMH battery. A bullpup is a style of rifle in which the firing mechanism is located behind the trigger. This setup gives the gun a compact frame while maintaining a full-length barrel. 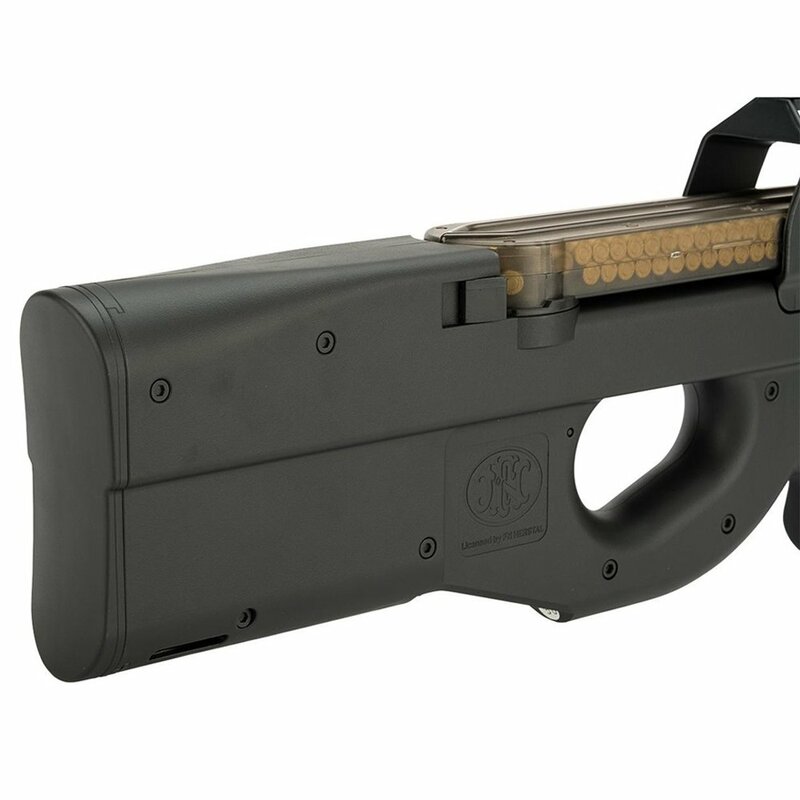 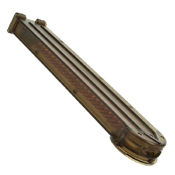 It provides the accuracy and velocity of a long barrel rifle with the mobility of a smaller weapon.